If there is a pattern that has stuck with me season after season, is the striped shirt. Blue, black, green, yellow, you name it! It is a basic closet staple that never fails. 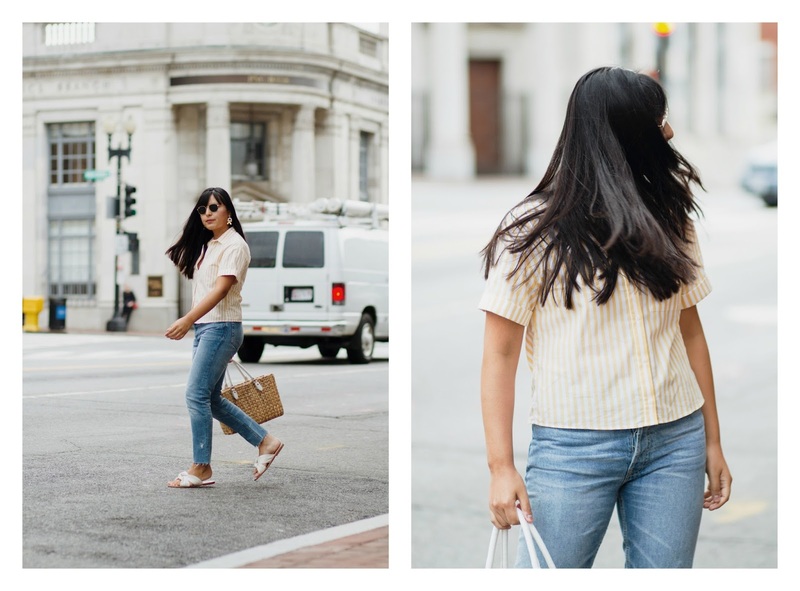 You can dress it up with a skirt and heels, and even dress it down as I did with a pair of jeans and a basket bag for a morning out in Georgetown. I have listed my favorite yellow stripes picks below! You can also get my exact Zara shirt here.